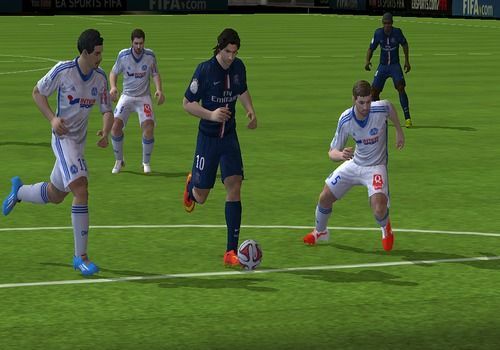 FIFA 15 Ultimate Team Windows Phone is the reference for football games on smartphones and touch pads. Inspired directly by console and PC games, it follows the main lines of his predecessor, whether in terms of gameplay or content. So, this free mobile version offers you the opportunity to build your dream team with players like Eden Hazard, Zlatan Ibrahimovic, or Lionel Messi. In all, more than 10,000 players are at your disposal. In addition to this farandole of football stars, FIFA 15 Ultimate Team includes around thirty different leagues, stadiums and a multitude of "Quick Simulations" to perfect your coaching experience. Free, this mobile game still offers intra-application purchases that you can keep or disable directly from the interface via the game settings. Finally, please also note that to install FIFA 15 Ultimate Team it is essential to have at least 1.35 GB of free space on your device. FIFA's eternal rival is also available on mobile and contrary to popular belief, this version is very complete. The 2016 version of the most famous football game is coming to your iPhone. The new game engine will make the simulation more realistic than ever.